Unleash the Caps Rally Balloon! Caps fans have found their octopus. Decades without a really good gimmick for these sorts of occasions (other than cries to Unleash the Fury which simply isn’t the same thing), someone in the stands had the bright idea of unleashing a red rally balloon. And it worked, because shortly after, the reddest of all the Caps, Cody Eakin, scored a goal. “That’s pretty wild, but hey I guess right time right place,” Eaken told reporters after the game. 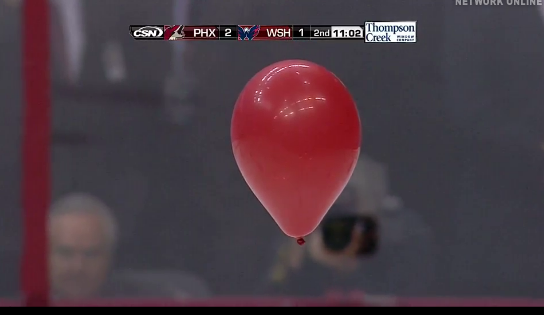 And in case you’re wondering, Caps Rally Balloon is on Twitter.